Represented a financial institution on cybersecurity matters during an audit by the federal government. Tried a FINRA arbitration involving tort, breach of contract, and antitrust claims that resulted in a favorable outcome for the client. Represented plaintiff defense contractor in a bet-the company commercial tort matter. Represented numerous plaintiffs in joint venture or asset purchase agreement gone bad cases. Tried a FINRA arbitration for the claimant in a breach of contract and tort matter that resulted in a favorable award and a denial of the broker /dealer's counterclaims. Represented businesses in non-compete agreement enforcement and injunctive relief matters. Represented businesses and healthcare providers in data breach response. Represented businesses in developing cybersecurity best practices and incident response plans. Represented numerous claimants and respondents in FINRA arbitrations. Represented a Housing Authority and national fitness chain in personal injury matters. Counseled cryptocurrency investors on tax-issues and exit strategies. 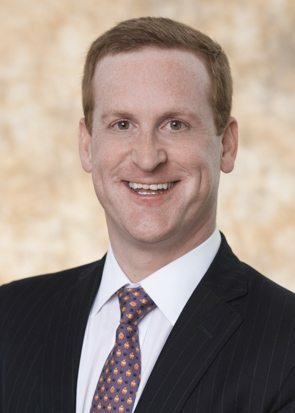 Fob is an attorney in the Birmingham office, where he represents plaintiffs and defendants in a variety of litigation matters in federal and state court, and in FINRA arbitrations. Fob particularly enjoys representing individual and business plaintiffs that have been injured or wronged by bad actors. Prior to law school, Fob owned and operated car washes and co-founded multiple technology startups in the online poker industry. As a small business owner, Fob was involved in several fraud cases as a plaintiff or counter-plaintiff. This experience inspired him to get his law degree so he could fight for others. Leveraging his technical background in Software Engineering, Fob is also a member of the firm’s Cybersecurity practice group, where he assists clients respond to cyber-related intrusions and government audits. Fob’s public policy interests include immigrants’ rights, prisoners’ rights, and poker players’ rights. He accepts pro bono matters on a case-by-case basis. Fob earned his Juris Doctor from Vanderbilt University Law School, where he was a member of the Dean’s list and served as Managing Editor of the Vanderbilt Journal of Entertainment & Technology Law. There, he helped create a DACA eligibility mobile application for Tennessee Justice for Our Neighbors, a Nashville-based nonprofit organization focused on immigration matters. Outside of law Fob enjoys food, wine, tennis, cryptocurrency arbitrage, poker, and spending time with his twin boys.